We also have many other boats who work for us "Other Boats Available" if our two main boats are booked click here to see our other options call 781-545-6516 if you have any questions on all of our boats. 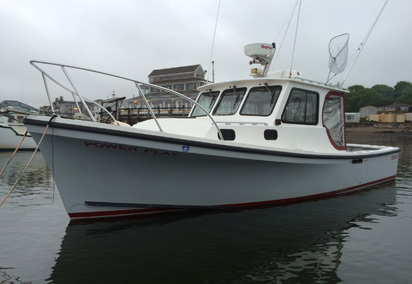 The F/V SlickFish is an 18’ Parker center console powered by a 115hp Yamaha 4-Stroke. 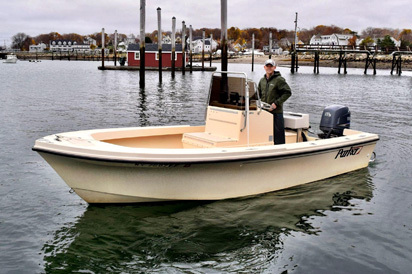 This boat is fast and has a very shallow draft, making it perfect for inshore fishing for striped bass, bluefish, and flounder. 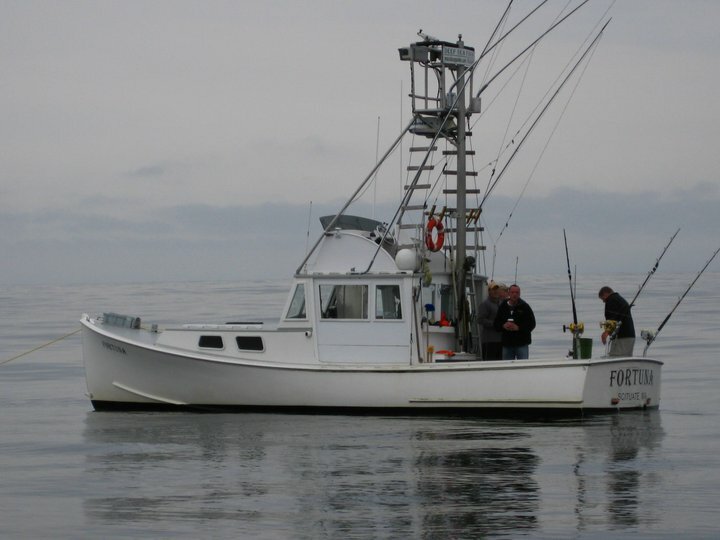 F/V SlickFish is outfitted with high quality ultra-light tackle setups. St. Croix rods matched with Penn, Shimano, and Abu Garcia reels. 30 foot diesel Fishing Machine setup nice with plenty of dry seating and storage. Captain Mike is very proud of his boat and maintains it in perfect condition for offshore fishing. Equiped with the latest electronics and fishing gear. We have a large list of owner operated boats who are available to Mass Bay Guides if our 3 main boats For-2Na, Fortuna and SlickFish are booked for the day you want to go fishing. 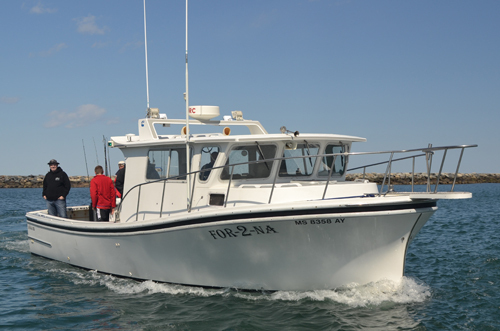 These boats are captained by some of the best fishermen in Mass Bay and we always supply great service from our staff of Mass Bay Guides Professionals. Please call for more information 781-545-6516.